How many computers come with a disclaimer of their aphrodisiac effects, after all? 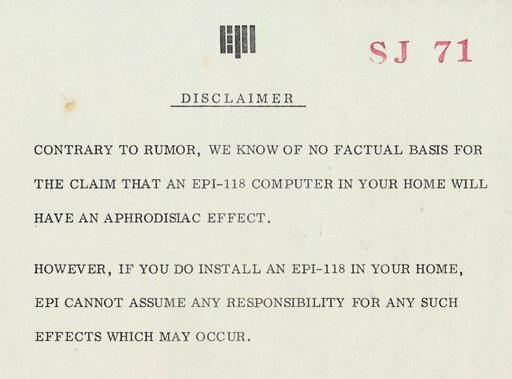 Contrary to rumor, we know of no factual basis for the the claim that an EPI-118 computer in your home will have an aphrodisiac effect. However, if you do install an EPI-118 in your home, EPI cannot assume any responsibility for any such effects which may occur. Definitely you would want to see your doctor about any erections lasting longer than four hours, sure, yup, don’t neglect that. You can really see how that would start rumors about orgies breaking out in any house where it was installed! 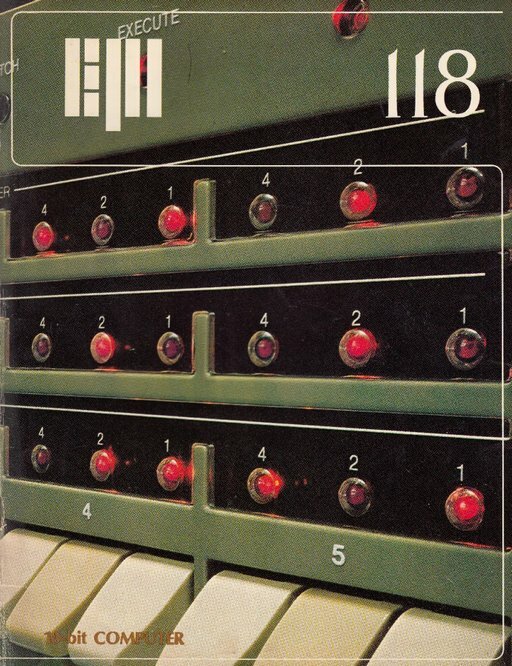 This entry was posted on Thursday, November 2nd, 2017 at 12:46 pm. You can follow any responses to this entry through the RSS 2.0 feed. You can leave a response, or trackback from your own site.